This is the first step after clicking the Create Portable Installation button in the welcome screen. This button only appears if the application supports being installed in a portable manner. Portable installations never require administrator privileges. 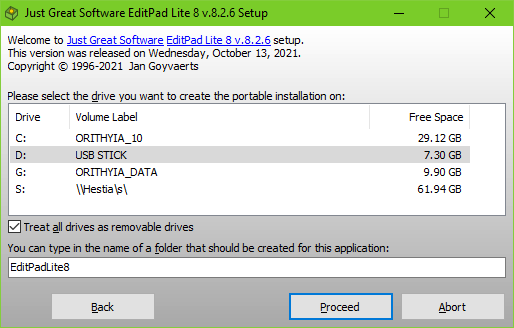 Thus the Create Portable Installation button never shows a shield icon on Windows Vista and later, and will not result in a black screen security prompt.